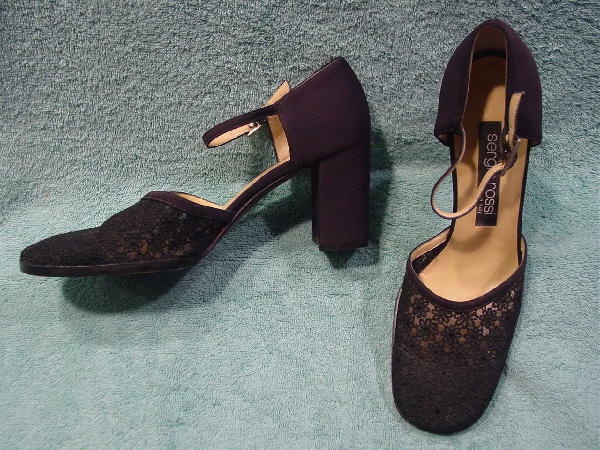 These black wide toe ankle strap shoes were made in Italy by Sergio Rossi. 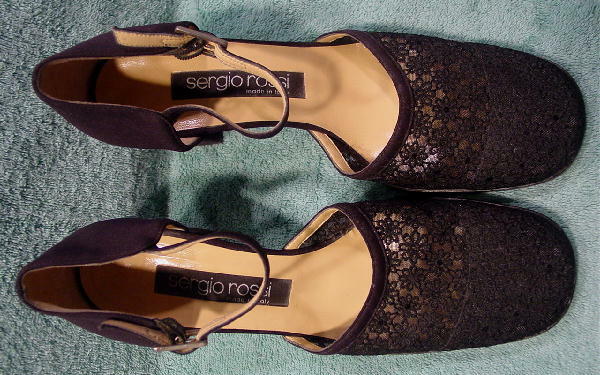 The front has a lace and embroidered pattern of flowers. 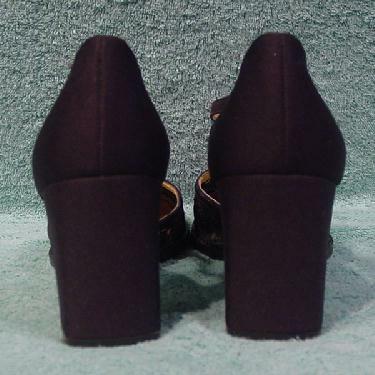 The rest of the shoes, including the ankle strap and all the way around the heels, are in black peau de soie. They have leather soles and vanilla-lemon insoles. The front 2" of the lace toe area is lined. They have rectangular buckles which are attached to little elastic straps.